The Anderson's Adventures: July 2014 / Transfer Week! 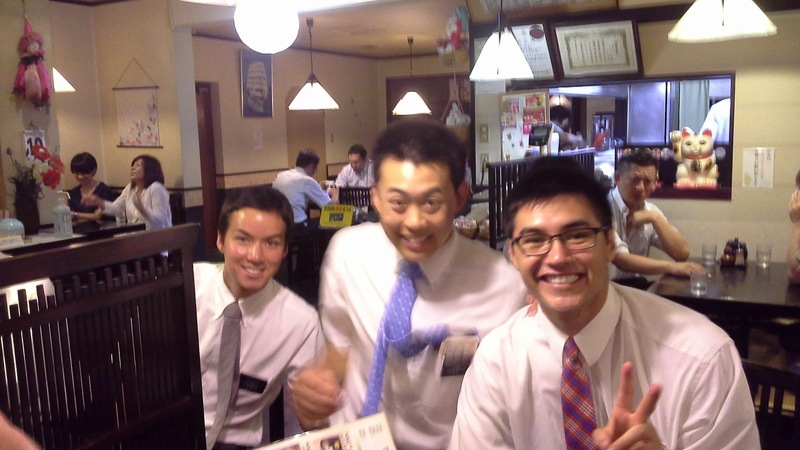 This is Elder Yamata. 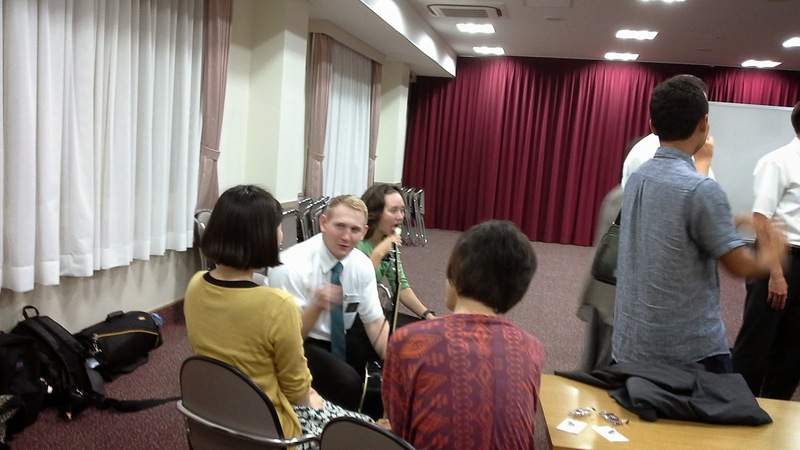 He is a local member and part time missionary. 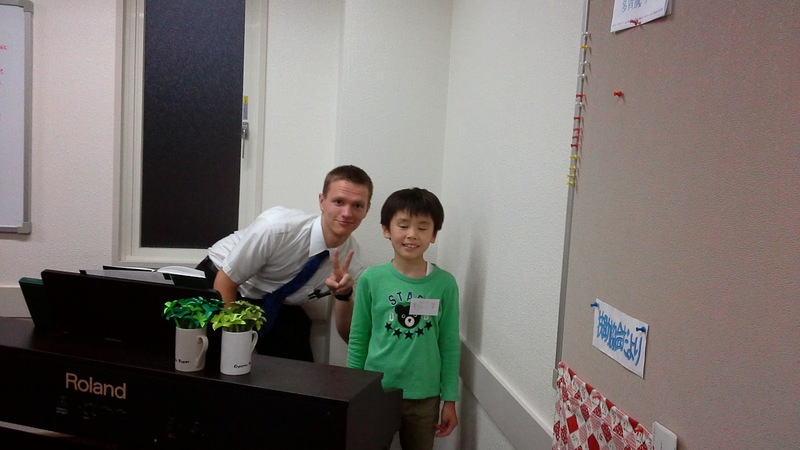 He takes care of furnishing the apartments and making sure that the missionaries have bikes. He and his wife lost their home and car in the tsunami. They were separated for four days before they found each other. He brought some dolls that Sister Rollins had ordered. His wife and her friends started making these after the tsunami so they could earn some money. They are giant clam shells that they dress up in kimonos. This is what the clam shells look like "undressed." They collect them on the sea shore and from restaurants who discard the shells when they prepare the clams for their restaurants. Here is one of the dolls. The clothing is made of old kimonos. Beautiful silks! Speaking of kimonos .... we were checking out the mall and this was the display in the center of the stores. It surprised me to see all these kimonos. We occasionally see women dressed in them, but not very often. And while we were at the mall, Alan ordered some food for me. Can't tell you what it's called, but it is Korean. The bowl is metal and was super hot. It is surrounded by a big block of wood to save you from burning yourself. So, the egg looked kind of weird, but as you stir it up, it gets cooked because the bowl is so hot. It took a long time to eat because it would burn your tongue unless you let it cool down a bit. BTW, I'm getting better with the chop sticks. I thought that maybe I'd lose some weight since I couldn't get the food to my mouth, but somehow I'm managing to get plenty to eat! This is a parking garage at the mall. It was late enough that there were not a lot of cars there, but it has an elevator thing so you can park two cars in the same spot. One over the other. And the attendant directed us to the spot he wanted us to take and helped us get parked (pretty) straight. 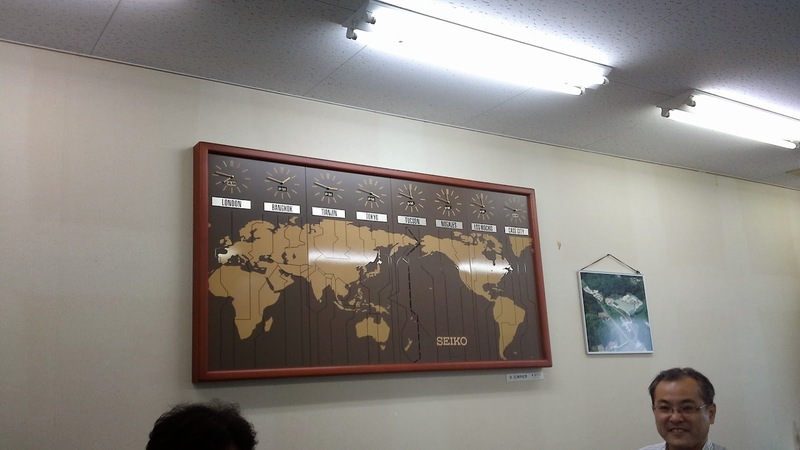 So, the plan is for us to go to the factory on Thursday afternoons and work with the employees on their English for a couple of hours. So, we've all heard about "Transfer Week" in the missions. This was our first time to experience it up close and personal. 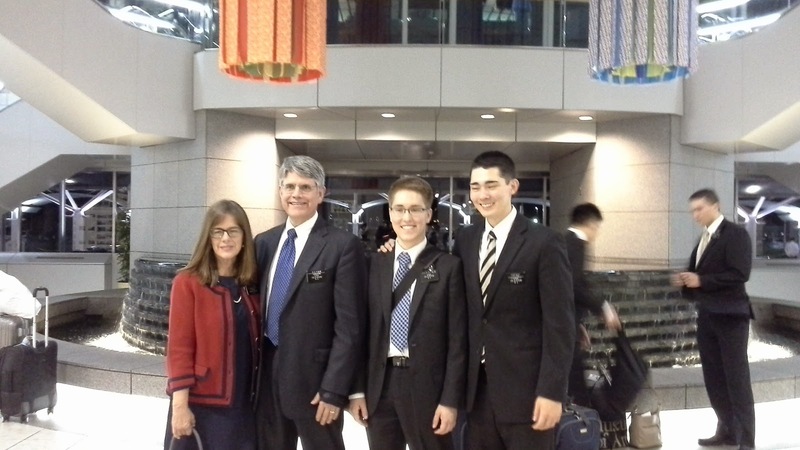 First of all, we had some new missionaries arrive. 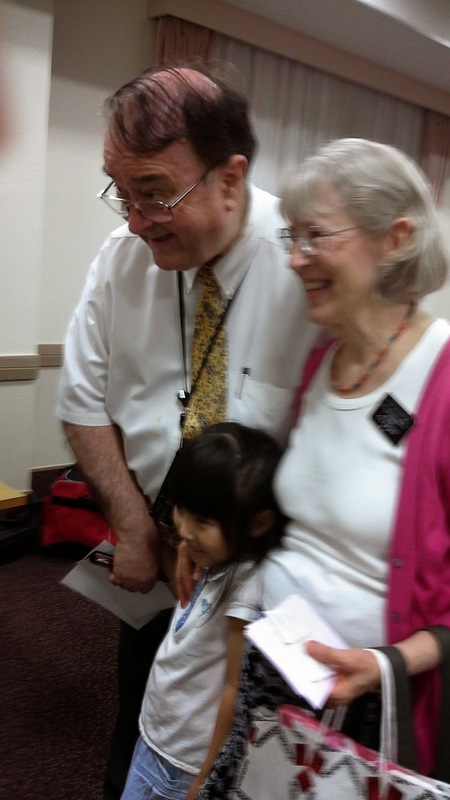 One sister was returning to her mission. She had suffered a bike accident and had to be released to have surgery on her arm. And she was able to return to her mission. 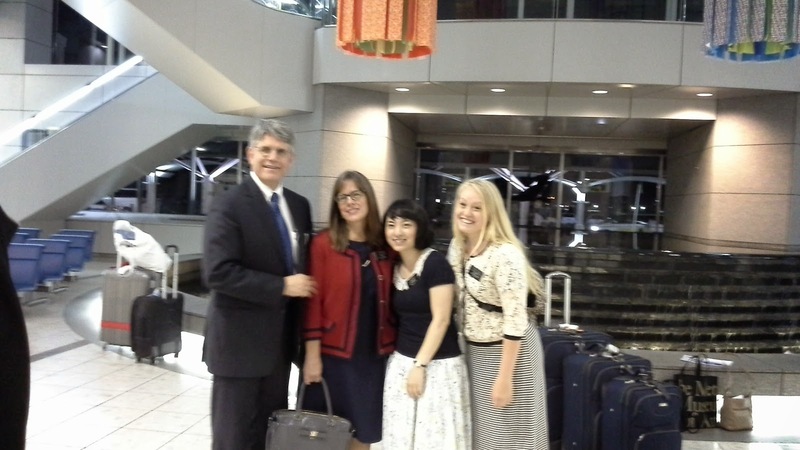 She arrived by train, but we took her photo at the airport when the three other missionaries arrived from Provo. One sister and two elders. Even though they were tired from their travel, they were happy to be here and ready to get to work. The next morning, they got some training and were sent off to their areas. 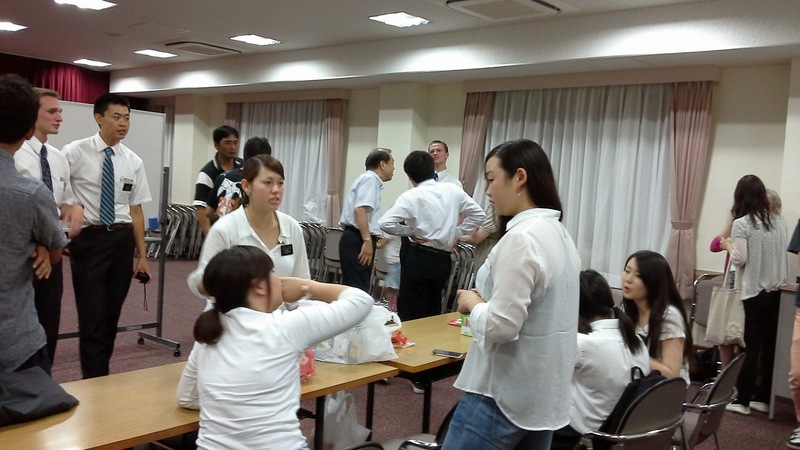 On Wednesdays throughout the Asia North Area (Japan and Korea), all the districts have an English class as a service for the community. 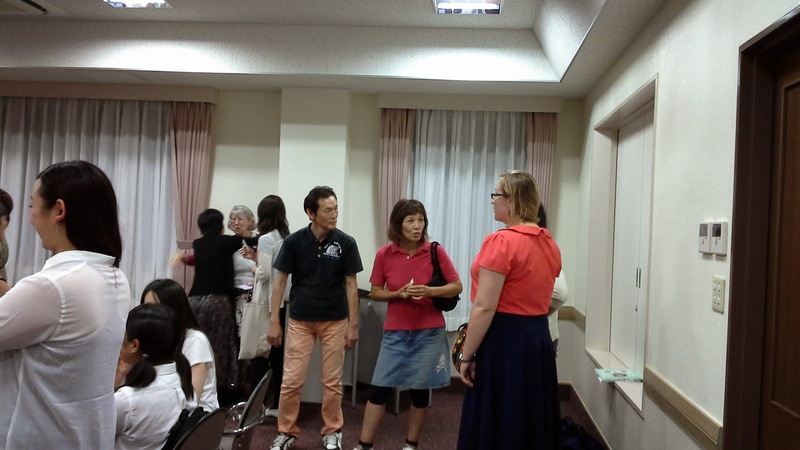 So like we did in Kazakhstan, we meet at the church and the missionaries lead an English group. 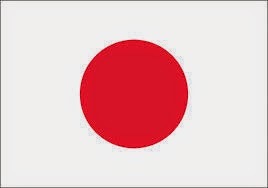 Unlike Kazakhstan, where we had the advanced, conversation group, we have the children's beginner group. So, we have been practicing "Head, Shoulders, Knees and Toes" and I found "No More Monkeys Jumping on the Bed" on the kindle. We have to be a bit creative! So, last time, Alan asked the children to come back the next week and tell us what they want to learn about. One of of little boys said he wants to learn to play piano (!) 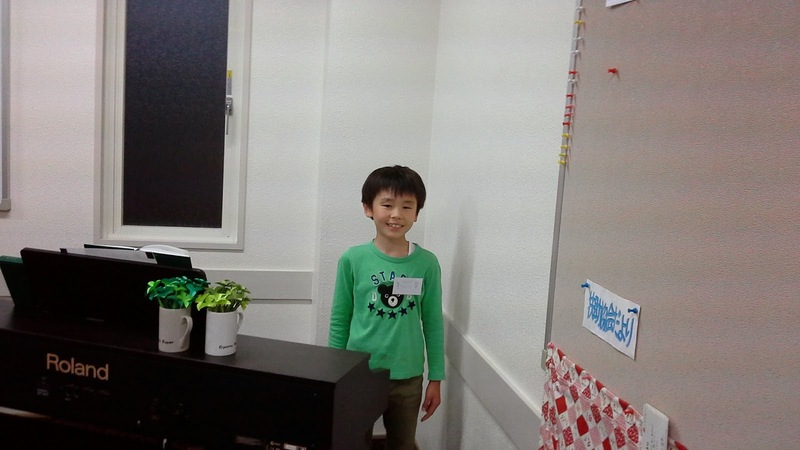 We asked if he has already started learning and he said "Yes." So we asked if he would play for us. We wondered if he would need to come back next time and bring his music and stuff. So we told his mother and asked if he could play something. And she said "Do you know Schubert?" Well, I've heard of him! So this little kid sits down at the piano and plays this little rondo or something. We stood there with our jaws dropping. This kid can play! 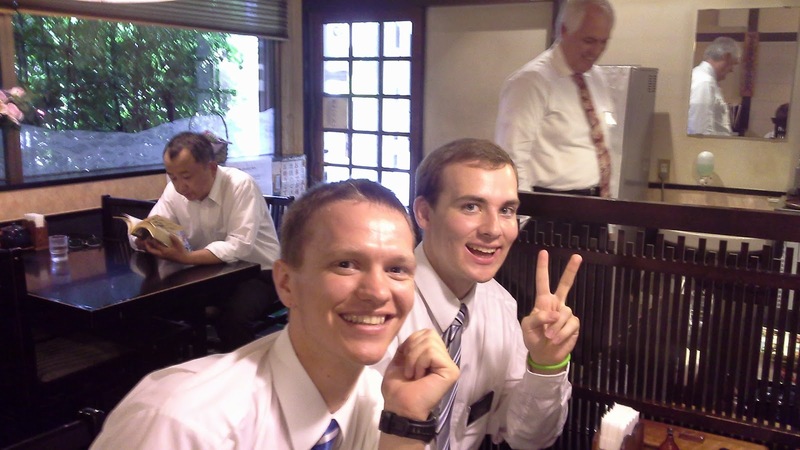 And of course, we had a missionary photo bomb! I was too slow with the video, but I'll try to get some music to share soon. Afterwards, we had some treats and everyone wished the Noonchesters goodbye. 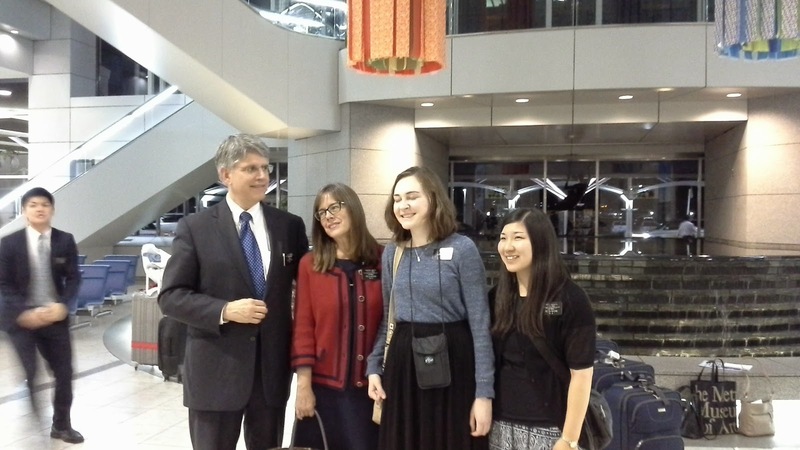 On Thursday, the missionaries going home gathered for their final interviews and farewell dinner. 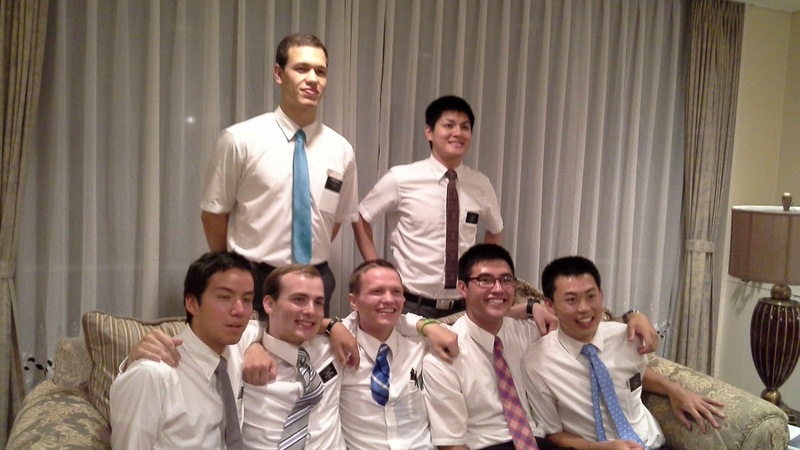 We had only known these young men for a short time, but we grew to love them! 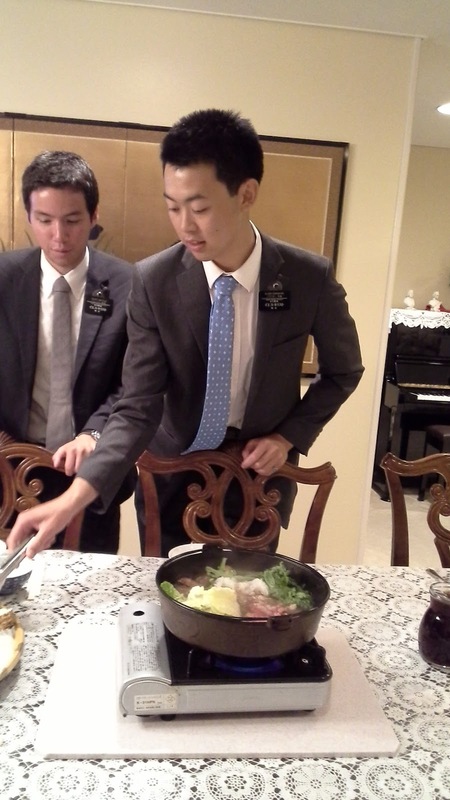 It was fun to see the difference between the new missionaries and the ones returning. The new ones have a lot of excitement for the work, but the older ones have a special glow from their experiences. We went to lunch with them at a little cafe up the street. It was really good. 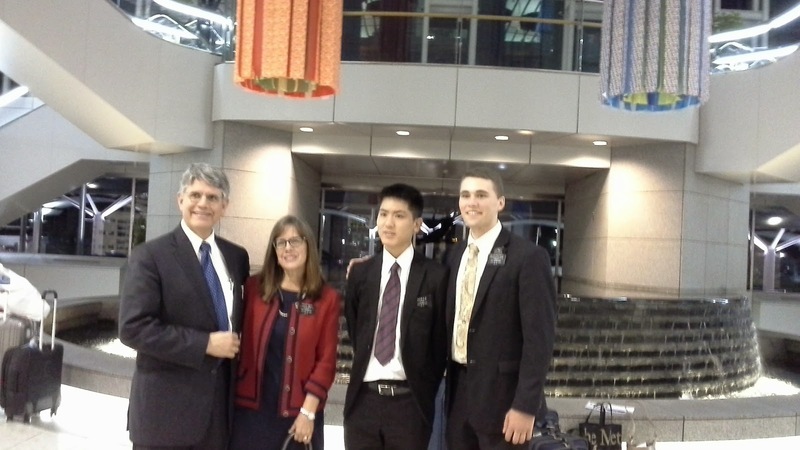 It's fun to see these young men who met two years ago at the MTC and are now going to move forward with their lives. Since everyone that works in the office (except us) is going home, the Smiths invited us to the farewell dinner too. 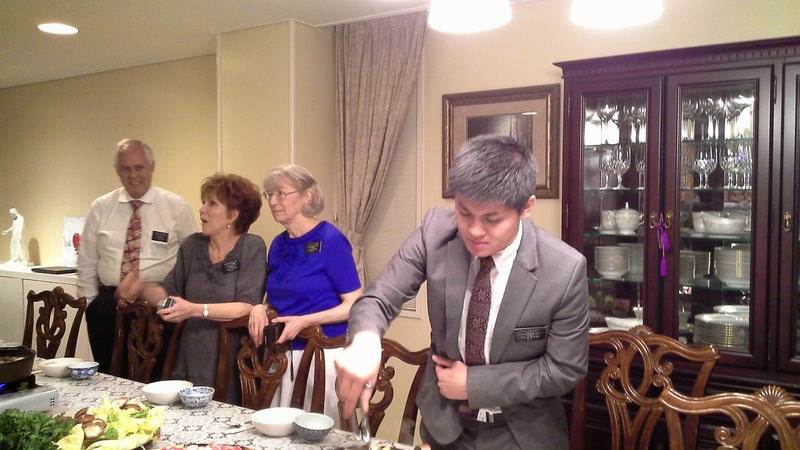 It was nice because we weren't able to go back to Russia to the mission home before we went home from Kazakhstan. 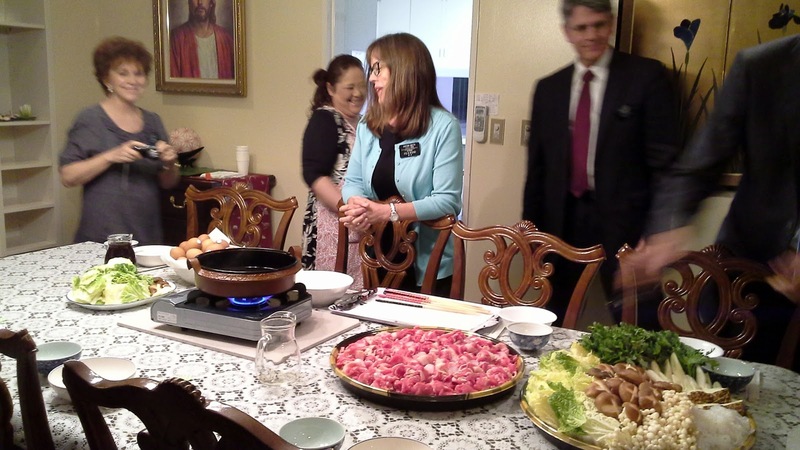 The tradition here is sukiyaki, and the APs do the cooking. All the meat and vegetables were prepared, and it's cooked on a propane stove on the dining table. It was delicious! 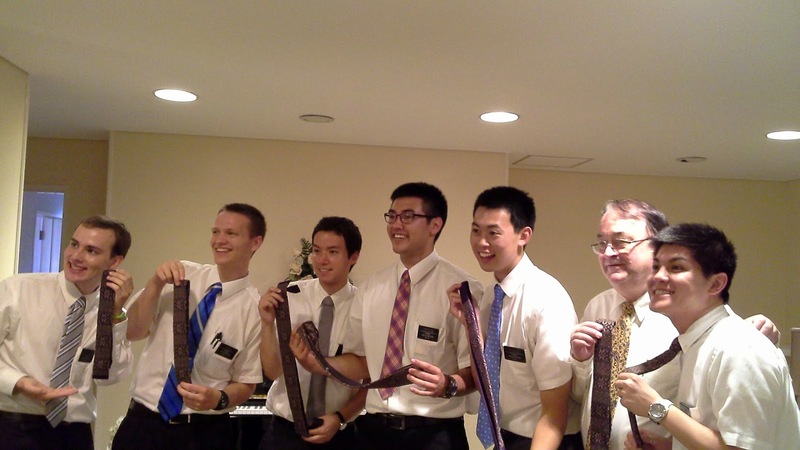 All the departing elders were gifted with a matching tie. Then chocolate dessert. Oh my! 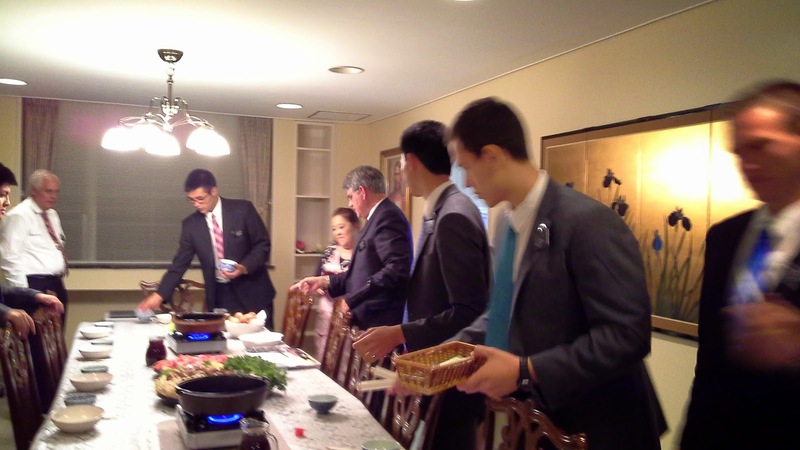 They called it the Oaks' Cake because it was served when Elder and Sister Oaks came to visit Sendai a few years ago. 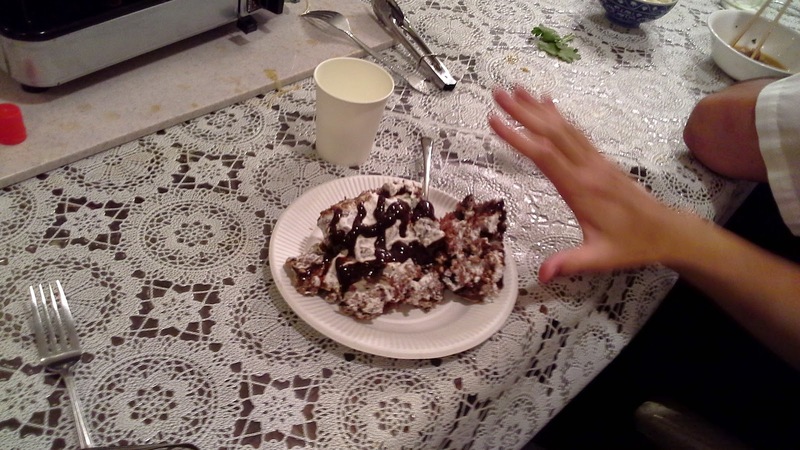 It had devil's food cake, whipped cream, oreos and chocolate syrup. Remind me to not do that again! The five returning elders and the AP's. They and the Noonchesters left the mission the next morning. These young men have worked hard and have gained strong testimonies and work ethics. We wish them well!